My first published press written by yours truly! I interviewed both Siobhan from Frocks and Rocks and Sarah from Davenport house of Originality and my quotes from those interviews were used by Katie one of the writers for the evening post. What’s in green is a panel by myself and even though it’s not saturated with my opinions I am still giddy and excited to see my work and effort in a paper such as The Evening Post!!! I also have done the ‘What Your Wearing’ section more than a few times and will pop them on here as soon as I can get my hands on a digital copy! 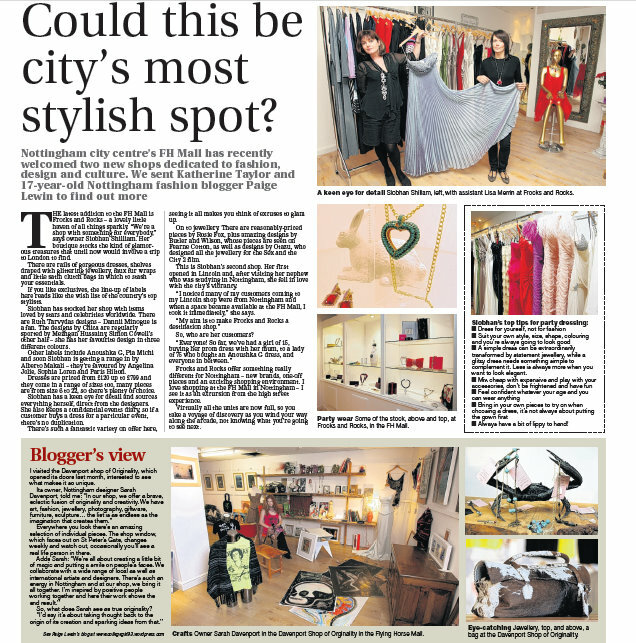 Also, check out my intro… 17-year-old Nottingham Fashion Blogger! How professional, I really love the way it sounds, sometimes I wish fashion blogging was my day job! Take a peekyweek at the Bloggers View section, as that my friends is aalll meee! They have their own professional photographers but I took my own photo’s for my own blog posts so I’m not too fussed. This will be in the EG guide tomorrow if your interested in taking a proper look…which I hope you are !